Always on the lookout for new energy food to take on my rides, I stumbled across this great recipe on the Vimeo channel of Sarah Kim Bonner (she also has a blog). 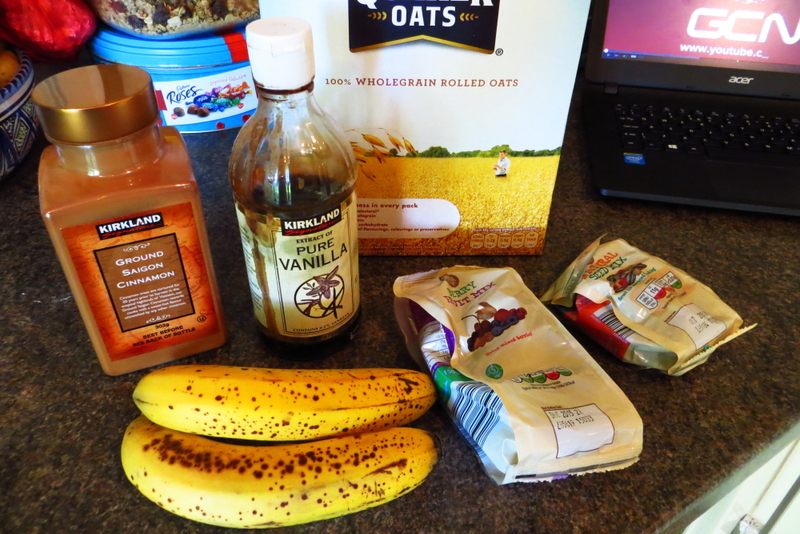 I’m not a vegan, but this flapjack recipe appealed to me due to it’s ease of making and my love of bananas! Great taste and simplicity are what I love in the kitchen and this recipe delivered on both counts. 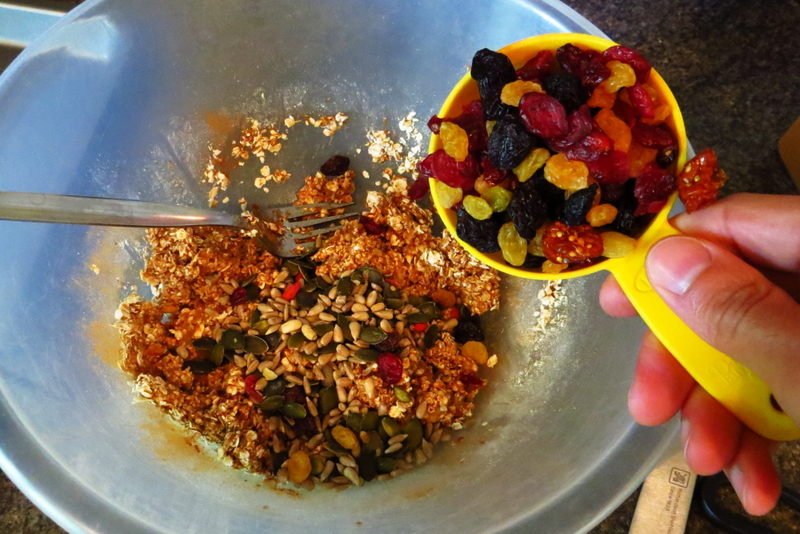 I modified mine slightly by mashing two bananas and adding half a cup of seed/nut mix with half a cup of dried fruit. It sweetens up the bars a little. I would have preferred just cranberries but I only had that pre-mixed dried fruit packet in the house. All the ingredients. Doesn’t get much simpler than that! Also I shaped my mixture into bars for ease of wrapping and eating on the bike. You could do a tray and cut them up afterwards or of course Sarah’s cookies. My bars took longer to cook than the video states, possibly because they were thicker and also I think my oven wasn’t quite hot enough. They look nice, I’ll give them a go. Congratulations on your 50th post!